Applications developed with MultiCAD.NET are cross-CAD-platform and can be run in all supported CAD programs without recompiling. The MultiCAD.NET API is built into nanoCAD and applications are loaded by the standard NETLOAD or APPLOAD commands. 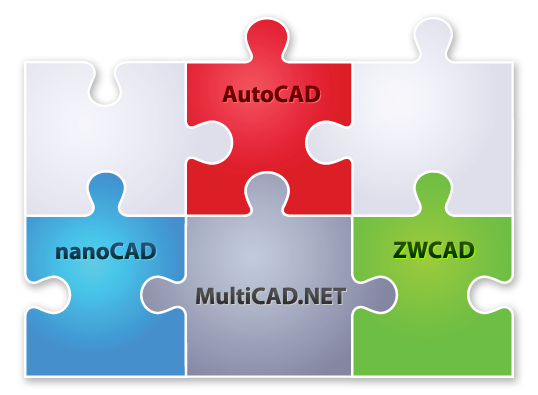 To run MultiCAD.NET applications in AutoCAD and ZWCAD the special application called MultiCAD Object Enabler is needed. In this walkthrough we will load a MultiCAD.NET sample application into nanoCAD, AutoCAD, ZWCAD and edit the drawing created with the application in these three CAD platforms. Let’s start with nanoCAD as the native platform for MultiCAD.NET to create the example drawing. You can use free nanoCAD 5.0 or paid nanoCAD Plus 6.0 in Demo mode, both can be downloaded from http://nanocad.com. As the sample application we will use the application that creates TextInBox custom entities described in this post. Download and unpack the TextInBoxSample.zip archive to the local drive. Be sure that the assembly file TextInBoxSample.dll is unblocked after downloading (right click the file -> Properties -> General -> Unblock). 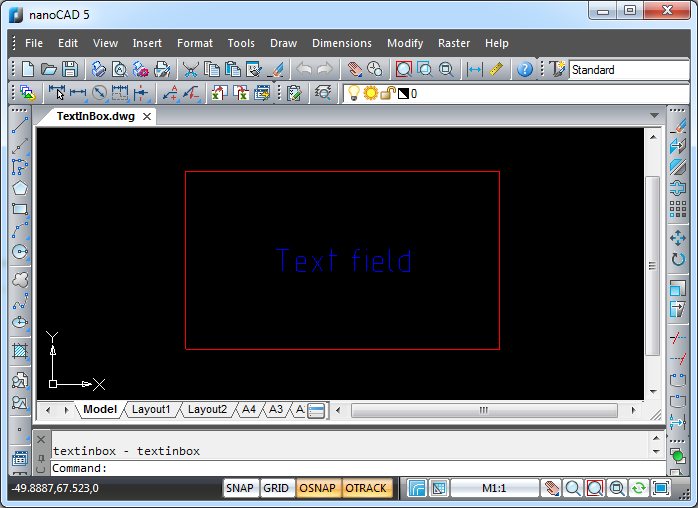 Load the TextInBoxSample.dll into nanoCAD by the NETLOAD or APPLOAD command. Run the TextInBox command and create a TextInBox Entity. Save drawing to the TextInBox.dwg file. Now we are going to AutoCAD 2010-2014 (32- or 64-bit) to open and edit the drawing. Download and unpack the MultiCAD_Enabler_1603.zip archive with a set of MultiCAD object enablers. 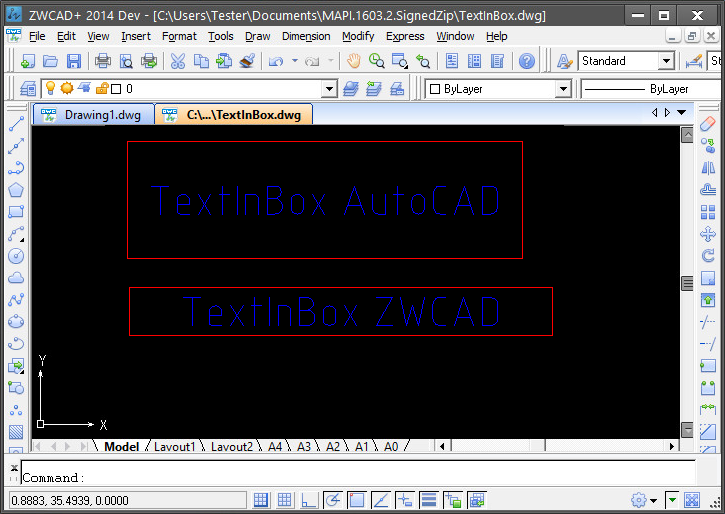 NETLOAD TextInBoxSample.dll (please note that is the same binary .dll module for all CAD platforms, whether it is nanoCAD, AutoCAD, ZWCAD and it is 32- or 64-bit). Select the entity and change its text string in the Properties window. Move and resize the created entity with grips. 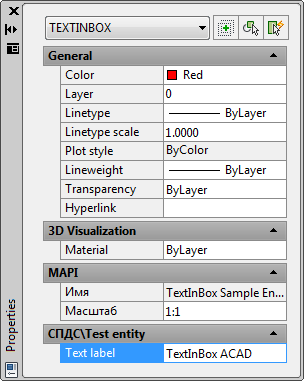 Now we continue editing the drawing in ZWCAD 2014, build 2014.06.25(24082). APPLOAD ZLoader.arx (the enabler application for ZWCAD) from the mg10 subfolder. Select the new entity and change its text in the Properties window. 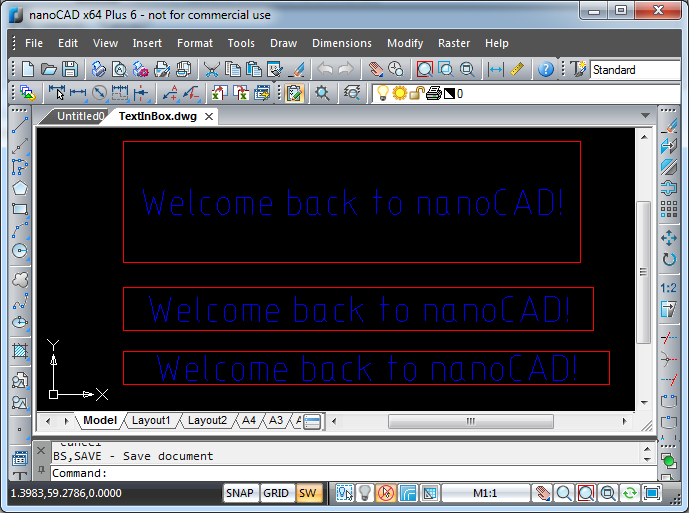 Now we are back in nanoCAD (this time we will use nanoCAD x64 Plus 6 as the latest nanoCAD version). 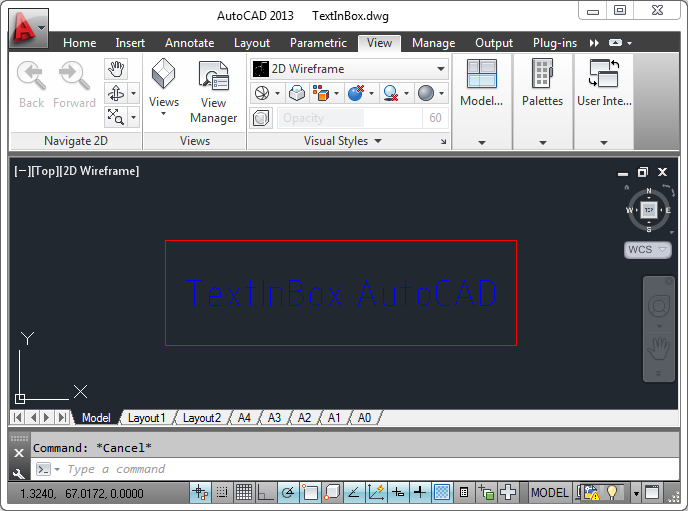 Start nanoCAD x64 Plus 6 in the demo mode and NETLOAD the TextInBoxSample.dll. 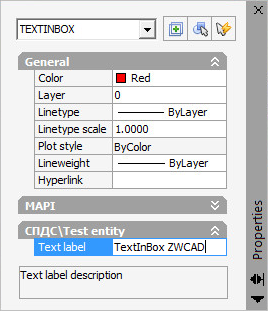 Open the TextInBox.dwg and edit the entities. As you see a MultiCAD.NET application can create a drawing populated with objects which can be opened, edited and saved by all supported CAD programs with providing full set of object functionality. This entry was posted in General on October 14, 2014 by DevClub.